Richard M Burger , CCSP, DIBAK, D.C.
Dena Wagoner, D.C., is a chiropractor located in San Diego, CA. Take the next step and contact Dr. Dena Wagoner, D.C., for a consultation in San Diego, CA or to get more information. John S Himinkool, D.C., is a chiropractor located in San Diego, CA. Techniques: • Pierce Stillwagon Technique • Toftness • Logan Basic • CHRANE Take the next step and contact Dr. John S Himinkool, D.C., for a consultation in San Diego, CA or to get more information. David E Libs, D.C., is a chiropractor located in San Diego, CA. Techniques: • Diversified • Gonstead Take the next step and contact Dr. David E Libs, D.C., for a consultation in San Diego, CA or to get more information. Alexandria Limon, D.C., is a chiropractor located in San Diego, CA. Techniques: • Gonstead • Diversified • Cox Take the next step and contact Dr. Alexandria Limon, D.C., for a consultation in San Diego, CA or to get more information. Jon B Ambert, D.C., is a chiropractor located in San Diego, CA. Techniques: • Thompson • Activator Methods • CHRANE • Manual Adjusting • Concept Therapy Inst. Take the next step and contact Dr. Jon B Ambert, D.C., for a consultation in San Diego, CA or to get more information. Douglas C Mills, D.C., is a chiropractor located in San Diego, CA. Techniques: • Diversified • Applied Kinesiology • Gonstead • Nimmo • Thompson Take the next step and contact Dr. Douglas C Mills, D.C., for a consultation in San Diego, CA or to get more information. Gianne Stanwood, D.C., is a chiropractor located in San Diego, CA. Techniques: • Diversified • Thompson • Activator Methods Take the next step and contact Dr. Gianne Stanwood, D.C., for a consultation in San Diego, CA or to get more information. Bart Conn, D.C., is a chiropractor located in San Diego, CA. Techniques: • Diversified • Bio Physics Take the next step and contact Dr. Bart Conn, D.C., for a consultation in San Diego, CA or to get more information. Hoan Nguyen, D.C., is a chiropractor located in San Diego, CA. Take the next step and contact Dr. Hoan Nguyen, D.C., for a consultation in San Diego, CA or to get more information. 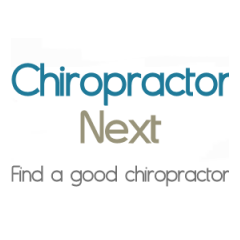 Craig H Wrede, D.C., is a chiropractor located in San Diego, CA. Take the next step and contact Dr. Craig H Wrede, D.C., for a consultation in San Diego, CA or to get more information. H Scott White, D.C., is a chiropractor located in San Diego, CA. Techniques: • Diversified • Neuro Emotional Technique • Versendaal Take the next step and contact Dr. H Scott White, D.C., for a consultation in San Diego, CA or to get more information. Alex E Torres, D.C., is a chiropractor located in San Diego, CA. Take the next step and contact Dr. Alex E Torres, D.C., for a consultation in San Diego, CA or to get more information. Steven C Cerenzie, D.C., is a chiropractor located in San Diego, CA. Techniques: • Flexion-Distraction • Activator Methods • Diversified • Thompson • Cox Take the next step and contact Dr. Steven C Cerenzie, D.C., for a consultation in San Diego, CA or to get more information. Charles Salanger, D.C., is a chiropractor located in San Diego, CA. Take the next step and contact Dr. Charles Salanger, D.C., for a consultation in San Diego, CA or to get more information. Herman Klippert, D.C., is a chiropractor located in San Diego, CA. Take the next step and contact Dr. Herman Klippert, D.C., for a consultation in San Diego, CA or to get more information. Meris VonJenef, D.C., is a chiropractor located in San Diego, CA. Take the next step and contact Dr. Meris VonJenef, D.C., for a consultation in San Diego, CA or to get more information. Richard Allen Scott, D.C., is a chiropractor located in San Diego, CA. Techniques: • Diversified • Trigger Point Therapy • Activator Methods • Active Release Technique • Cox • Manual Adjusting Take the next step and contact Dr. Richard Allen Scott, D.C., for a consultation in San Diego, CA or to get more information. Suzanne M Frazier, D.C., is a chiropractor located in San Diego, CA. Techniques: • Diversified • Activator Methods Take the next step and contact Dr. Suzanne M Frazier, D.C., for a consultation in San Diego, CA or to get more information. Jay Warren, D.C., is a chiropractor located in San Diego, CA. Techniques: • Network • Toggle Recoil • Diversified Take the next step and contact Dr. Jay Warren, D.C., for a consultation in San Diego, CA or to get more information. Mick Leone, D.C., is a chiropractor located in San Diego, CA. Techniques: • Activator Methods • Diversified • Gonstead • Palmer Package • Traction • Trigger Point Therapy Take the next step and contact Dr. Mick Leone, D.C., for a consultation in San Diego, CA or to get more information. Gary DeForest, D.C., is a chiropractor located in San Diego, CA. Take the next step and contact Dr. Gary DeForest, D.C., for a consultation in San Diego, CA or to get more information. Paul Kell, D.C., is a chiropractor located in San Diego, CA. Techniques: • Activator Methods • Cox Take the next step and contact Dr. Paul Kell, D.C., for a consultation in San Diego, CA or to get more information. Christopher Armstrong, D.C., is a chiropractor located in San Diego, CA. Take the next step and contact Dr. Christopher Armstrong, D.C., for a consultation in San Diego, CA or to get more information. Robert C Santoro, D.C., is a chiropractor located in San Diego, CA. Techniques: • Palmer Package • Upper Cervical • Diversified Take the next step and contact Dr. Robert C Santoro, D.C., for a consultation in San Diego, CA or to get more information. Nicholas A Disabatino, D.C., is a chiropractor located in San Diego, CA. Techniques: • Active Release Technique • Cox • Diversified • Flexion-Distraction • Gonstead • Traction • Trigger Point Therapy Take the next step and contact Dr. Nicholas A Disabatino, D.C., for a consultation in San Diego, CA or to get more information. Harold L Carlson, D.C., is a chiropractor located in San Diego, CA. Techniques: • Diversified Take the next step and contact Dr. Harold L Carlson, D.C., for a consultation in San Diego, CA or to get more information. Jeffrey T Peabody, D.C., is a chiropractor located in San Diego, CA. Take the next step and contact Dr. Jeffrey T Peabody, D.C., for a consultation in San Diego, CA or to get more information. Akasha S Khalsa, D.C., is a chiropractor located in San Diego, CA. Techniques: • Diversified • Applied Kinesiology • Sacro Occipital Technique Take the next step and contact Dr. Akasha S Khalsa, D.C., for a consultation in San Diego, CA or to get more information. Theo Kircher, D.C., is a chiropractor located in San Diego, CA. Take the next step and contact Dr. Theo Kircher, D.C., for a consultation in San Diego, CA or to get more information. Rudy Reyes, D.C., is a chiropractor located in San Diego, CA. Take the next step and contact Dr. Rudy Reyes, D.C., for a consultation in San Diego, CA or to get more information. David Dodd, D.C., is a chiropractor located in San Diego, CA. Take the next step and contact Dr. David Dodd, D.C., for a consultation in San Diego, CA or to get more information. Keith M Jeffers, D.C., is a chiropractor located in San Diego, CA. Techniques: • Diversified • Cox Take the next step and contact Dr. Keith M Jeffers, D.C., for a consultation in San Diego, CA or to get more information. Kevin L Hoffman, D.C., is a chiropractor located in San Diego, CA. Techniques: • Diversified • Activator Methods • Chiropractic Biophysics Take the next step and contact Dr. Kevin L Hoffman, D.C., for a consultation in San Diego, CA or to get more information. Jeffrey M Steinhardt, D.C., is a chiropractor located in San Diego, CA. Techniques: • Diversified • Flexion-Distraction • Manual Adjusting • Activator Methods Take the next step and contact Dr. Jeffrey M Steinhardt, D.C., for a consultation in San Diego, CA or to get more information. Ken Gilden, D.C., is a chiropractor located in San Diego, CA. Techniques: • Activator Methods • Gonstead • Manual Adjusting • Trigger Point Therapy Take the next step and contact Dr. Ken Gilden, D.C., for a consultation in San Diego, CA or to get more information. F. Olden Pittman Jr., D.C.
F. Olden Pittman Jr., D.C., is a chiropractor located in San Diego, CA. Techniques: • Gonstead • Motion Analysis (Palpation) • Diversified Take the next step and contact Dr. F. Olden Pittman Jr., D.C., for a consultation in San Diego, CA or to get more information. Delmer Thibodeaux, D.C., is a chiropractor located in San Diego, CA. Techniques: • Grostic • Diversified • Gonstead Take the next step and contact Dr. Delmer Thibodeaux, D.C., for a consultation in San Diego, CA or to get more information. Richard D Belsky, D.C., is a chiropractor located in San Diego, CA. Techniques: • Diversified • Trigger Point Therapy • Neuro Muscular Technique • Sports Injuries • Therapeutic Exercise Take the next step and contact Dr. Richard D Belsky, D.C., for a consultation in San Diego, CA or to get more information. Jerry H Wolfe, D.C., is a chiropractor located in San Diego, CA. Techniques: • Diversified • Travell Soft Tissue • Cox • Basic Rehabilatation • Basic Exercises • (They Work ) Take the next step and contact Dr. Jerry H Wolfe, D.C., for a consultation in San Diego, CA or to get more information. Alan B Lloyd, D.C., is a chiropractor located in San Diego, CA. Techniques: • Diversified Take the next step and contact Dr. Alan B Lloyd, D.C., for a consultation in San Diego, CA or to get more information. Cameron Sutter, D.C., is a chiropractor located in San Diego, CA. Techniques: • Activator Methods • Gonstead • Neuro Muscular Technique • Sacro Occipital Technique • Thompson Take the next step and contact Dr. Cameron Sutter, D.C., for a consultation in San Diego, CA or to get more information. Elaine Borseth, D.C., is a chiropractor located in San Diego, CA. Techniques: • Diversified • Thompson • Activator Methods • Cox Take the next step and contact Dr. Elaine Borseth, D.C., for a consultation in San Diego, CA or to get more information. Warren M Patch, D.C., is a chiropractor located in San Diego, CA. Techniques: • Palmer Package Take the next step and contact Dr. Warren M Patch, D.C., for a consultation in San Diego, CA or to get more information. Mark Mashike, D.C., is a chiropractor located in San Diego, CA. Take the next step and contact Dr. Mark Mashike, D.C., for a consultation in San Diego, CA or to get more information. Angie Fix Ortiz, D.C., is a chiropractor located in San Diego, CA. Techniques: • Activator Methods • Diversified • Manual Adjusting • Motion Analysis (Palpation) • Thompson • Pediatrics • Webster Technique Take the next step and contact Dr. Angie Fix Ortiz, D.C., for a consultation in San Diego, CA or to get more information.